For the past 25 years, Shamrock Manufacturing Company (SMC) has been a trusted global supplier of Medical and Industrial Gloves, consistently providing Quality, Comfort, Performance and Protection. 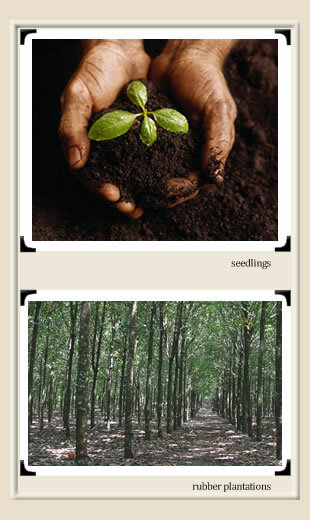 Over the years, SMC has planted hundreds of thousands of rubber trees on our plantations, switched from fossil fuels to bio-mass to run our factories and developed innovative energy saving production techniques, all designed to leave a virtually zero carbon footprint from our manufacturing operations. SMC is a truly vertically integrated Latex Glove producer, growing our own in-house-developed hybrid rubber trees on 75,000 acres of SMC owned land. Our trained workers tap, collect, centrifuge, age, and compound the field latex from our plantations to produce our proprietary dipping liquid that we use to produce our Latex gloves. Thus, from the seed that goes into the ground to the glove that comes out of the box, SMC controls the entire process. SMC takes your protection seriously - continually upgrading and modernizing our production facilities to ensure a consistent, timely supply of the finest disposable gloves possible. In addition to standard gloves, we can and do produce custom gloves and packaging to meet the needs of our customers in the Medical, Industrial, Food Service, Automotive, Health & Beauty, and Surgical Markets. We own and operate 3 glove factories on the Indonesian islands of Sumatra, Java.